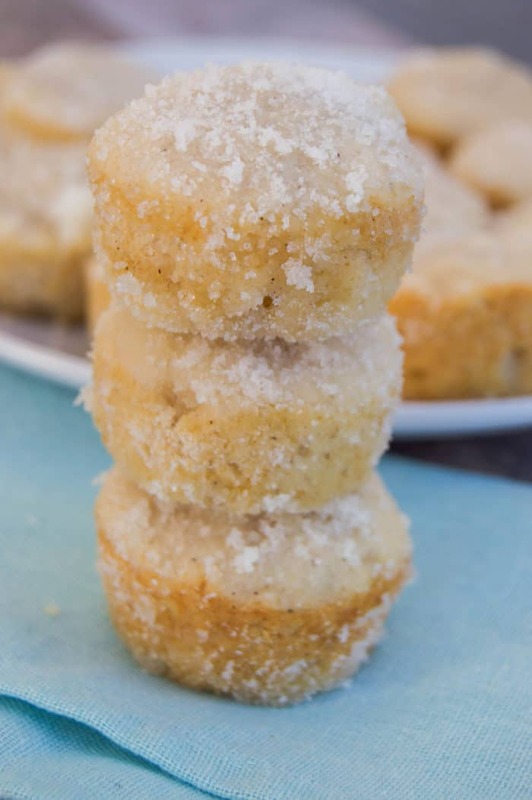 These simple and tasty Sugar Donut Mini Muffins are the perfect treat for breakfast. Soft, warm, and covered in sugar. My kids and I love donuts! They are a special treat for breakfast every once in a while and when they are mini 2-3 is totally okay right? =) I love breakfast that can be made ahead and eaten though out the week. It makes mornings so much easier. Even though it’s summer my kids are still up early and most day we have some place to be. Plus getting up with my kids at 6am and then making homemade donuts just isn’t going to happen in the morning. I actually have trained my kids in the morning that it’s quiet time and no talking is to be done before coffee is finished. We all crawl on the couch in the morning me with my coffee them with there milk and turn on Disney Jr. Lights still off and cuddles up with a blanket. It’s kinda the perfect way to start my morning, I am NOT a morning person. I don’t mind waking up with them at 6am I just need a while to adjust and get myself going. Preheat oven and prepare a mini muffin tin with non-stick cooking spray. Shift together flour and baking powder and set aside. Add cinnamon and vanilla extract, and milk, then slowly mix in dry ingredients. Whisk together until smooth then fill mini muffin tin. Bake until cooked though and a toothpick can come out clean. Dunk each mini donut muffin in melted butter then roll in remaining sugar. Mini Banana Chocolate Chip Muffins: These are my kids favorite muffins. They are tiny and delicious. 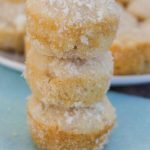 Pancake Mini Muffins: Pancakes baked in in a mini muffin tin! So simple to make and the perfect breakfast recipe. Chocolate Chip Pancake Mini Muffins: This one is so good! Chocolate pancakes in bite size forms. Preheat oven to 375 degrees. Prepare a mini muffin tin with non-stick cooking spray and set aside. Shift together flour and baking powder and set aside. 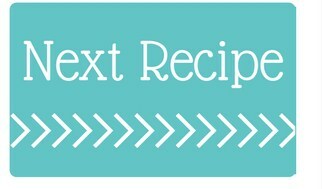 In a stand mixer (or in a separate bowl with a hand mixer) cream together 1/4 cup melted butter and 1/2 sugar. Add cinnamon and vanilla extract, and milk, then slowly mix in dry ingredients (flour mix). Whisk together until smooth then fill mini muffin tin. Bake for 10-12 minutes or until cooked though and a toothpick can come out clean. Allow to cool for 2-3 minutes. 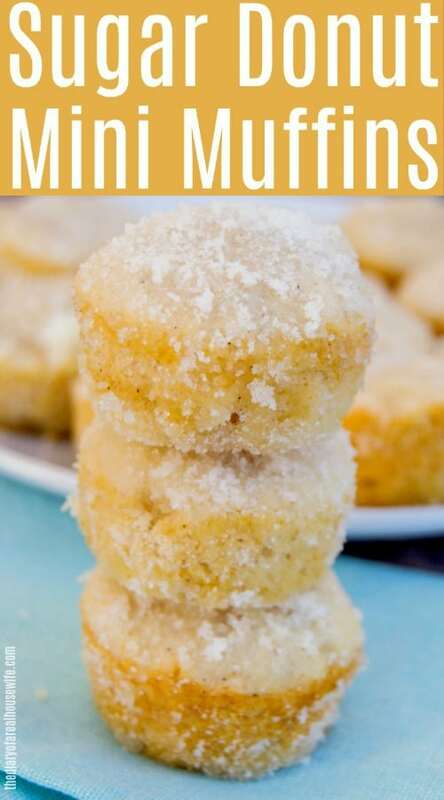 Dunk each mini donut muffin in 1/2 cup melted butter then roll in remaining 1/2 cup sugar. Serve and enjoy!